Qualcomm snapdragon 712 Vs snapdragon 660: Which Processor has better Camera, display, AI performance, connectivity options? 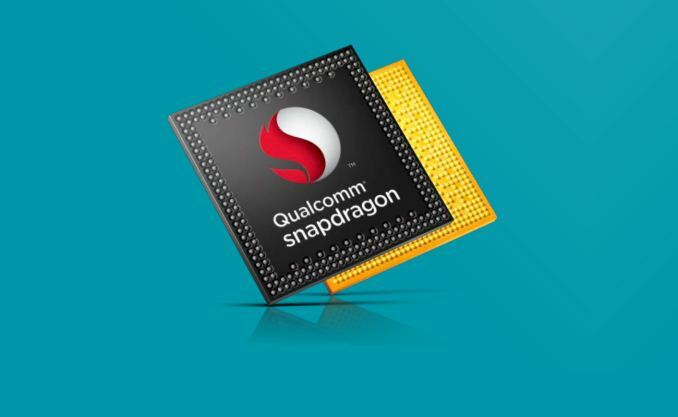 Qualcomm is famous for making great mid-range Smartphone chipset. It has different series of chipset catered for different segments. When are talk about Snapdragon 400 series, it is made basically for budgeted phones, 600 series of SoC for Mid-range handsets and 800 series of chipset for premium Smartphone, while Qualcomm Snapdragon 700 series provides more power to upper mid-range segments and Snapdragon 710 was the first 700 series of chipset launched last year. Here, we are going to discus about Qualcomm snapdragon 712 Vs snapdragon 660. Qualcomm Company has announced new chipsets belongs 700 series as name of Snapdragon 712 (10nm process) which is the successor of 710 chipset. Now comes to Snapdragon 660 series, Snapdragon 660 is now most popular chipset which has been seen in lot of Smartphone. 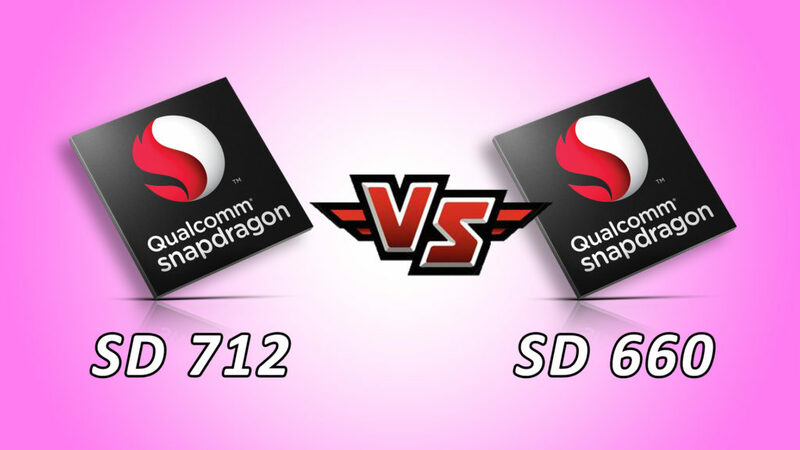 What is the similarities and difference between Qualcomm snapdragon 712 and snapdragon 660 SoC? Let’s discuss. AI performance is important factors to decide which one is better chipset. When are talk about Snapdragon 712 SoC, there is need to AI improvements on it. But it has Hexagon 685 DSP to handle AI tasks which is same DSP used on Snapdragon 660. In facts, hexagon 685 DSP is old generation DSP. So, we can say that SD712 needs more improvement than SD660. 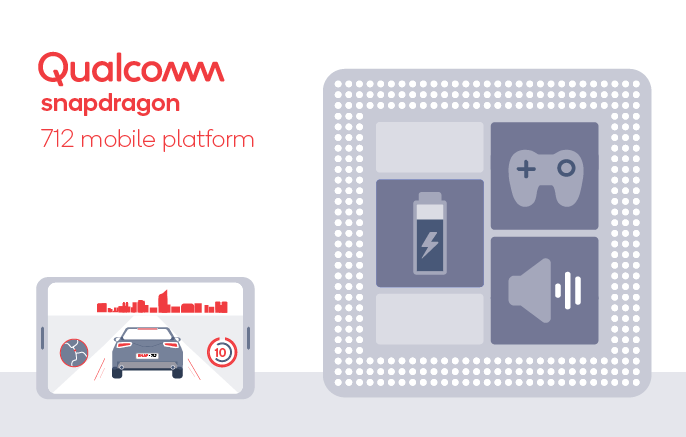 Qualcomm snapdragon 660 is octa-core 64-bit processor which is built on 14nm FinFet process. It has 8 Kryo 260 Cores clocked at 2.2GHz. It means it has 4 Cortex A73 Cores and 4 Cortex A-53 cores. SD660 comes with two variants including clock speed of 1.95 GHz and other one is clock at 2.2 GHz. ASUS Zenphone Max Pro M2 is powered by Snapdragon 660 clocked at the 1.95 GHz while Redmi Note 7 & MI A2 has same SD660 processor clocked at 2.2 GHz. On other hand, Snapdragon 712 is based on 10nm FitFet process, 64-bit octa-core processor. It has Kryo 360 cores which mean 2 Gold Cortex A-75 cores and 6 silver Cortex A-55 cores. Gold cores are used for intensive tasks and silver cores uses for day-to-day normal tasks. SD712 has clocked speed of 2.3GHz. RAM: SD712 supports LPDDR4X RAM up to 8GB, while SD660 supports dual channel LPDDR4/4xs RAM up to 8GB. Internal Storage: Snapdragon 660 supports both UFS2.1/EMMC5.1 based storage, while Snapdragon support for eMMC 5.1 & UFS 2.1 based storage. When we talk about Snapdragon 712 processor, it has X15 LTE MODEM which can support LTE Cat 15 to peak the download speed up to 800Mbps and Cat 13 for uploading with peak speed of up to 150Mbps. Other connectivity features are Dual 4G VoLTE, dual brand WI-F-, Bluettooth 5.0, NFC, GPS, USB 3.1. 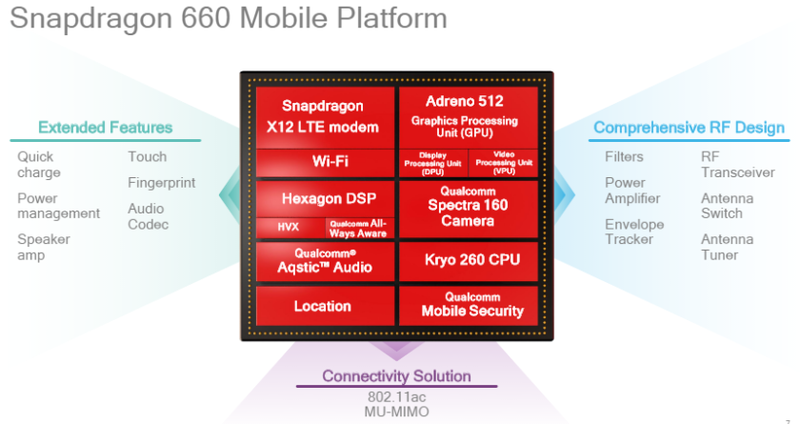 On other hand, Snapdragon 660 SoC supports dual brand WI-Fi, Bluetooth 5.0, GPS, FM Radio. When we talk about modem supports of SD660, it has X12 MODEM which uses LTE cat 12 for downloading with speed up to 600Mbps and Cat 13 for uploading with the speed up to 150Mbps. As you can see, both the chipset are creation Qualcomm Company in which SD660 belongs to Snapdragon 600 series for mid-range segments, while Snapdragon 712 belongs to 700 series for upper mid- range segments. We are seeing that Sd712 has better RAM, Camera, Display support and connectivity features than SD660. Snapdragon 712 processor is recently launched whereas Snapdragon 660 has been released two years ago. When we talk about price, the Smartphone powered by SD660 is now available with the low price range Rs. 13,000, while SD712 powered phone comes with the price of 30-40 thousands rupees. What do you think? Which one is better SoC? You can share your thought on the comment box given below.